High-quality keyboard dust cover for STUDIO LOGIC Fatar SL 880. Available in Microfibre, Polyester or Synthetic Leather. High-quality keyboard dust cover for STUDIO LOGIC Numa . Available in Microfibre, Polyester or Synthetic Leather. High-quality keyboard dust cover for STUDIO LOGIC Numa Compact. Available in Microfibre, Polyester or Synthetic Leather. High-quality keyboard dust cover for STUDIO LOGIC Numa Concert. Available in Microfibre, Polyester or Synthetic Leather. High-quality keyboard dust cover for STUDIO LOGIC Numa Nero. Available in Microfibre, Polyester or Synthetic Leather. High-quality keyboard dust cover for STUDIO LOGIC Numa Organ 2. Available in Microfibre, Polyester or Synthetic Leather. High-quality keyboard dust cover for STUDIO LOGIC Numa Organ. Available in Microfibre, Polyester or Synthetic Leather. 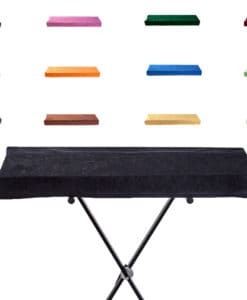 High-quality keyboard dust cover for STUDIO LOGIC Numa Piano. Available in Microfibre, Polyester or Synthetic Leather. High-quality keyboard dust cover for STUDIO LOGIC Numa Stage. Available in Microfibre, Polyester or Synthetic Leather. High-quality keyboard dust cover for STUDIO LOGIC SL 88 Grand. Available in Microfibre, Polyester or Synthetic Leather. High-quality keyboard dust cover for STUDIO LOGIC SL 990 Pro X. Available in Microfibre, Polyester or Synthetic Leather. High-quality keyboard dust cover for STUDIO LOGIC Sledge 2 0. Available in Microfibre, Polyester or Synthetic Leather. Optional foam padding and own logo or text. 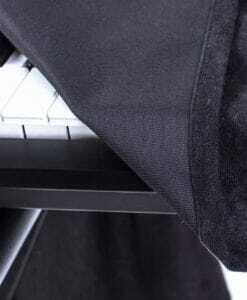 High-quality keyboard dust cover for STUDIO LOGIC Vmk 161 Plus Organ. Available in Microfibre, Polyester or Synthetic Leather.